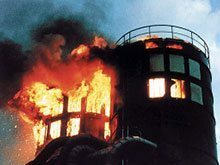 Fires and dust explosions occur almost daily across many industries. When working with combustible materials, sparks and embers can be created very quickly. This is a constant danger for all facilities where combustible materials are being worked, exhausted, transported, filtered or dried. 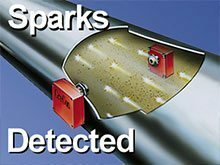 AFF offers spark detection systems that are primarily used as a fire prevention method in dust collectors, mechanical and pneumatic conveying systems by detecting and extinguishing sparks and embers.